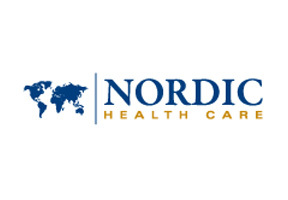 Nordic Health Care is the international insurance division of Danish company Europæiske Rejseforsikring A/S. Based in Copenhagen, Europæiske Rejseforsikring began operating in 1921 and was Denmark’s first travel insurance provider. Europæiske Rejseforsikring is in turn a subsidiary of German insurance giant ERV AG. Nordic Health Care is capable of providing comprehensive global health insurance plans to individual expatriates, families and groups and as part of the ERV AG group, Nordic works closely with sister companies to deliver products and plans that can be tailored to match an individual’s healthcare requirements. By allowing a certain degree of flexibility within their plans, Nordic’s policyholders in Thailand can enjoy coverage levels that will ensure they receive comprehensive medical protection regardless of where in the world they may travel to. Emphasizing its customer services commitments to its clients; Nordic Health Care maintains a number of offices and alarm centers that provide real time and local support. Nordic’s alarm and call centers have established strong working and professional relationships with medical facilities, personnel and organizations in their catchments areas, thus ensuring swift, reliable and accurate information can be relayed to their subscribers as required. Our research and support staff can provide you with additional information on Nordic Health Care or any of the health insurance providers we have detailed on this site. To request this information simply follow this link to contact our staff directly or submit your personal details in the form section which can be found at the top of this page.